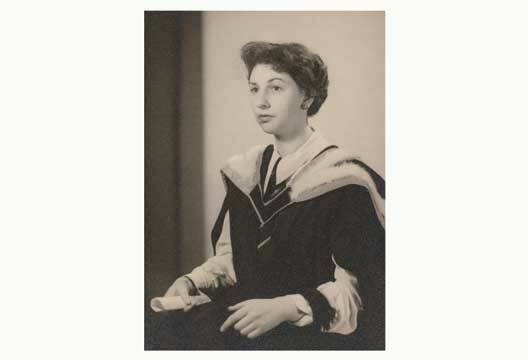 Freda Levinson, who died on 31 August 2018 at the age of 87, graduated in psychology at the University of Manchester in 1952 before going on to work at Alder Hey Hospital, Liverpool and the Maudsley Hospital, London, where she obtained a grant to undertake a PhD. Her studies were interrupted by surgery, and she eventually withdrew from the PhD because she was asked to undertake neuropsychological assessments on people pre- and post-frontal lobotomy, which she found abhorrent and unethical. In 1968, she moved to Harperbury Hospital, Radlett, where she began to discuss with the Head of the Psychology Department, Dr Richard Mein, the creation of what was to become the North West Thames Regional In-Service Clinical Psychology Training Course, which accepted its first trainees in 1971 and of which she was appointed Course Director in 1972. The preliminary work in establishing a credible course, for which she negotiated funding from the then North West Thames Regional Health Authority, required an extraordinary effort within a relatively short period, and was a product of Freda’s critical thinking, determination, organisational skills and persuasiveness. Year on year she achieved an increase in the course’s funding, including negotiating the provision of a dedicated building for the course within the grounds of Harperbury Hospital. However, in 1989 it was one of the first in-service clinical psychology courses to be put out to tender, and the clinical psychology training provision for North-West Thames was transferred to University College London in 1990. Freda’s subsequent retirement caused her great sadness, but she continued to develop and provide disability awareness training within the NHS and for other organisations. At a reunion in 2009 for ex-trainees of the course that she directed, and staff who had collaborated with her, Freda expressed great satisfaction with the considerable achievements and reputations within the profession of her former trainees, who have been a credit to the course. Although it cannot be said that she was always the easiest of people to work with, there can be no doubting her passion regarding clinical psychology training and disability issues, or the genuine care that she showed for the personal and professional development of her trainees.